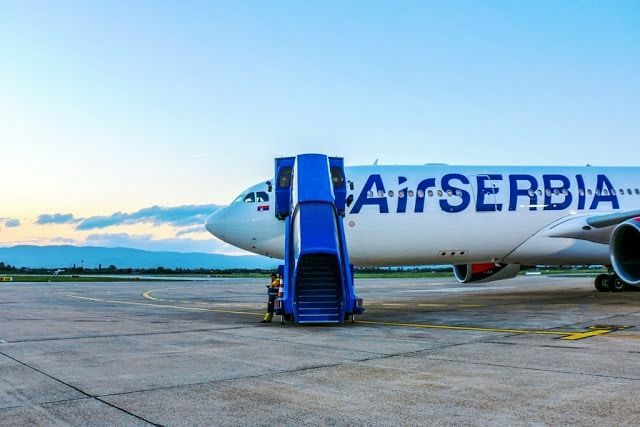 Air Serbia will introduce an additional two destinations to Croatia next summer season and increase frequencies on existing routes to the country as it continues to put greater focus on the market. Apart from introducing flights to Zadar and Rijeka, with the latter to be maintained on a year-round basis, the airline will also increase frequencies to both Zagreb and Dubrovnik this summer. Air Serbia plans to operate eleven weekly flights to the Croatian capital and daily services to Dubrovnik, both up by one weekly service on last year. The carrier will increase capacity to Split by maintaing all of its six weekly flights with the jet-engine Airbus A319 aircraft. As a result, the airline will offer over 165.000 seats between Belgrade, Zagreb, Dubrovnik, Split, Pula, Zadar and Rijeka during the 2019 summer season. The last scheduled service between Belgrade and Zadar was operated by JAT Yugoslav Airlines on August 3, 1991, while the final service to Rijeka took off on August 5 that same year. In a statement, Rijeka Airport said, “The introduction of the regular route between Rijeka and Belgrade represents a very significant step forward for our region since it is being introduced after almost thirty years when it operated in the former state twice a day”. The airport added that both the ATR72 turboprop aircraft and the Airbus A319 jet will be utilised on the route. Overall, Air Serbia will operate 28 weekly flights between Belgrade and Croatia this summer and add over 490 seats per week between the two markets each way. On the other hand, Croatia Airlines will decrease its seasonal offering from Split to Belgrade with the carrier to operate two weekly services instead of three. It will put 5.800 seats on sale between the two cities this summer. “Belgrade has been regularly evaluated on behalf of our network planning department, however, in our analysis, the new routes introduced over the past three years have all shown greater demand, which is why they have been given priority over the Belgrade route”, the carrier said. Croatia Airlines introduced two weekly services to Belgrade in 2012, which were increased to three weekly in 2014. This year, the carrier will maintain the service from May 13 until September 23.